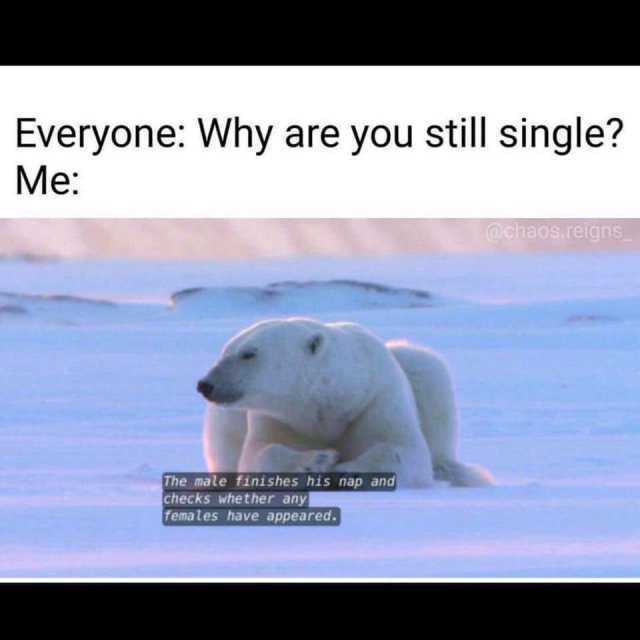 dopl3r.com - Memes - Everyone Why are you still single? Me achaos.reigns The male finishes his nap and checks whether any femates have appeared. Everyone Why are you still single? Me achaos.reigns The male finishes his nap and checks whether any femates have appeared.